The Belstaff Brooklands 'Mojave' Wax Jacket has real performance and quality, making it a very practical yet classic looking piece of kit. Made in 8oz wax cotton with 100% cotton Belstaff quilted check lining, padding on sleeves and velvet on the neck, collar and cuffs. The Belstaff Brooklands Jacket has reinforcements at critical wear points, and removable D30 armour, which meets CE Technical Standard EN 1621-1:201. 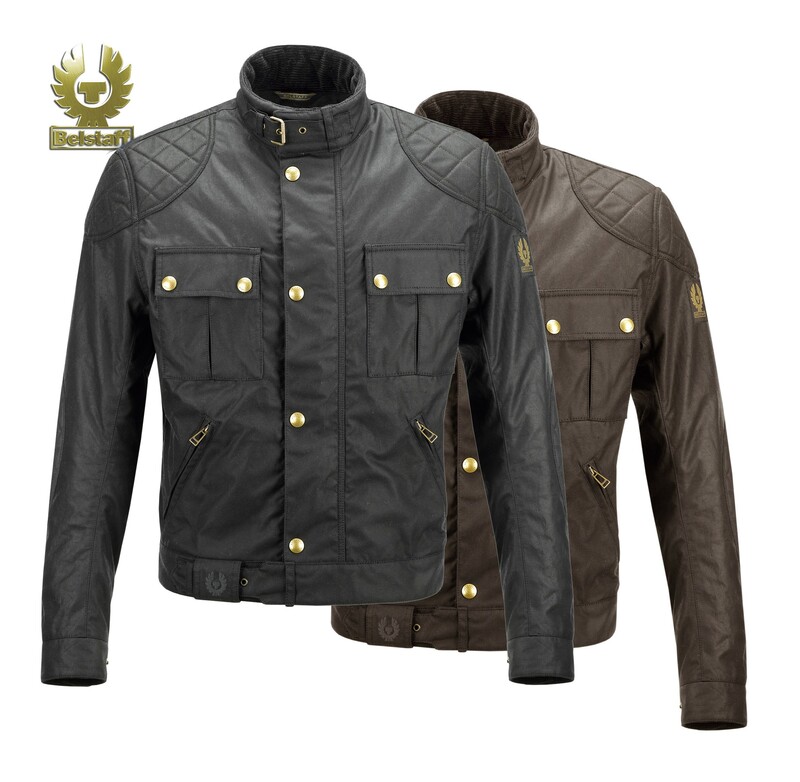 This Jacket has two patch pockets on chest closed by flap and Belstaff branded snap buttons and two pockets on sides closed by Belstaff branded zippers and inside pocket closed by a zipper. The current Belstaff Motorcycle Collection is now 100% waterproof thanks to a new membrane inner shell.